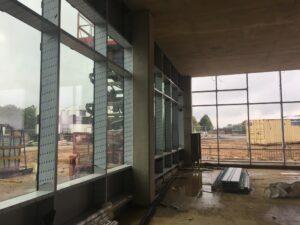 Posted January 28th, 2019 | Aluminium curtain walling, News, Windows. 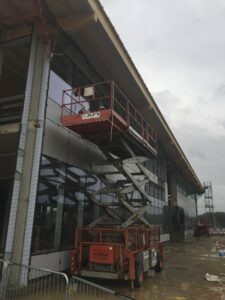 During our initial commercial project with Allglass (Anglia) Ltd, Soundcraft supplied SF52 curtain walling, SPW600 aluminium windows and SPW501 door sets for Allglass installation and glazing on the new Festool Ltd head office project, led by Barnes Construction. 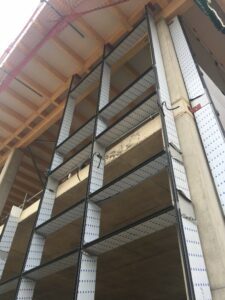 Incorporating 12 large curtain wall facades, Soundcraft worked closely with Senior Architectural Systems (SAS) to ensure that precise requirements were met. In terms of service provision, Lee Gordon, Director of Production at Soundcraft, said: “We are perfectly positioned to supply and specify for a key company such as Allglass and look forward to our successful working relationship going forward.